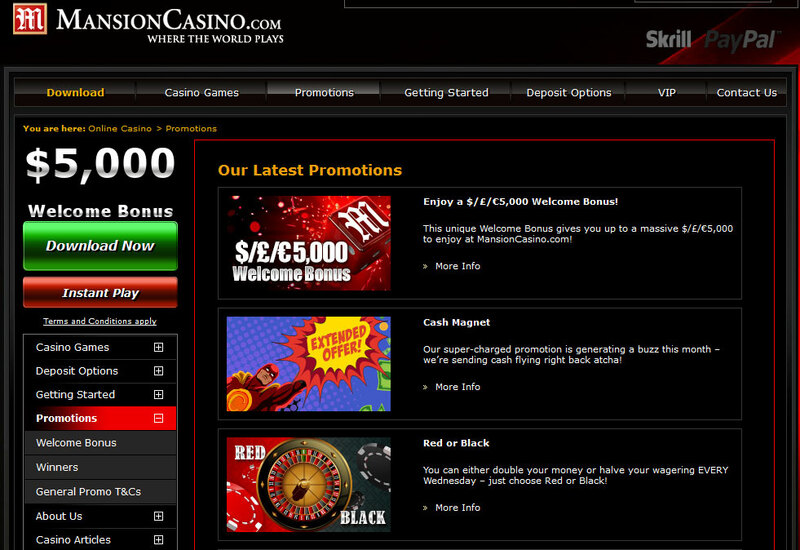 Mansion Casino came to the fray in 2004 as a standalone poker site with very awesome deals to attract players. In the later years, the owners of Mansion decided to adopt the PlayTech platform which gave them the capability to provide a wider array of casino games. 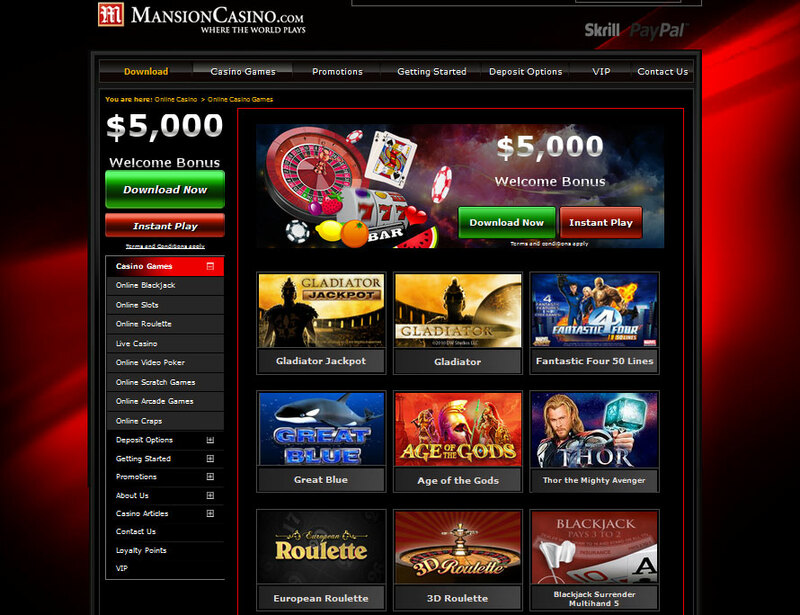 As a result of this migration, Mansion Casino now offers not lesser than 200 games available via a flash powered instant play option and also a downloadable application. From its inception, the main focus was clearly on the UK market but expansion has been made to several other countries with a clear exception of the United States. The casino is licensed under the British Oversea Territory of Gibraltar which is known for its strict regulatory policies. Mansion Casino has always been driven by its vision to provide players with the very best in online gaming experience through customer-centric support and services. On the new PlayTech platform, Mansion Casino has several Roulette games including the famous traditional European and American wheels. They have breathtaking graphics and sounds but for an unrivalled experience, your best bet is to check out the Premium games particularly for their cosmetic feature and enhanced graphics. Also, it doesn’t need much emphasis to drive home the point that any frequent Roulette player will obviously choose the European Roulette over the American spec mostly for the lesser risk the single zero option in the former has over the double zero of the latter. Apart from these popular two, there are also others like the French Roulette available in the Standard and Premium format. Both formats looks and feel like regular Roulettes despite the slight variation in the layout which allows for more bets and also the moderately small size of the wheel. For players that want to reduce risk and play small, the Mini Roulette which has 13 slots is the way to go. More so, the 3D Roulette game is also available with very detailed animated wheel to ensure enhanced user experience. Importantly, players can also enjoy the Live Dealer Roulette in the Live Casino where a real life croupier run Roulette game is streamed life. Apart from the wide variety of Roulette games available at Mansion Casino, there is still an array of slot games for players to choose from. Some of these are branded titles which includes the Marvel Super-heroes movie franchises like Iron-Man and X-men. They are also linked to a progressive jackpot that grows quickly across all the casinos running on PlayTech Casinos and which offers huge amounts of money. In the Video slot option, breathtaking animated sections and fun arcade-style offers also award bonus payouts. For lovers of table games, Mansion Casino has a lot to pick from. From the Blackjack gams alone, there are several versions with varying twists to the classic game. The same goes for Casino Poker games, Baccarat, Crap games and several Video Poker titles. There are also purer gamble Keno and many scratch card games available in the casino. 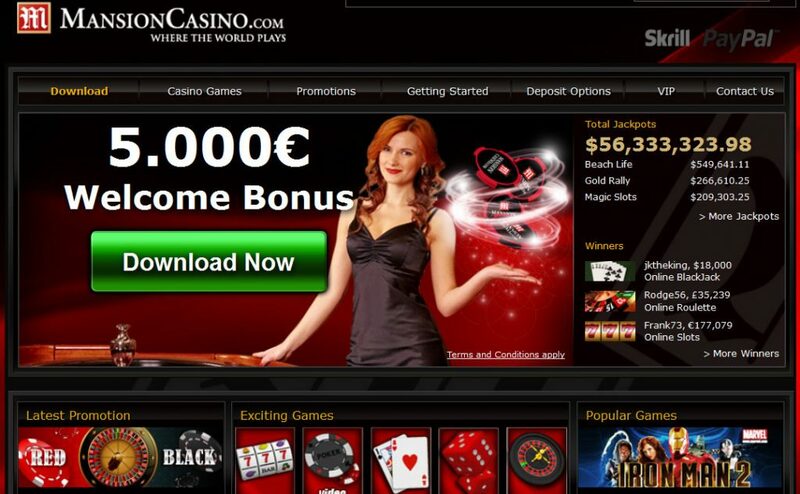 Displayed on the website are several deposit and withdrawal methods currently supported by the gaming establishment. All manners of credit and debit cards are accepted including the common Visa and MasterCard. Mansion casino also supports eWallet services like Skrill Moneybookers, NETeller and pre-paid methods like Ukash or Paysafecard. The usual withdrawal method at Mansion Casino is the exact method you used in depositing, however in some circumstances, you might be required to use another method including bank transfer or other methods subject to discussions and suggestions from the Customer Support. You must note that a standard ID card check must be completed before initial withdrawal. To avoid agonizing delays, it is advisable to send ID check documents to Mansion Casino way earlier than when you intend to withdraw. Mansion Casino offers a whopping $5000 match that can be used at most games but the truth is that there are 2 different bonus types embedded in this blockbuster. The more preferable one is the 100% bonus up to the $500 limit but there is another less enticing but equally bumper offer of 50% match to the $5000 limit. The regular 100% bonus requires a play-through rate of not less than 20x the total of your bonus while the High Roller requires 15x before it can be withdrawn. 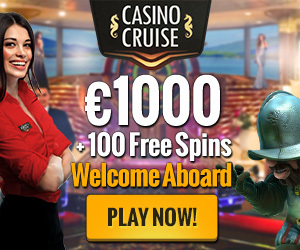 Roulette fans are the usually the biggest benefactor of this bonuses simply because almost 25% of the play-through is cleared playing the game which is very huge considering what is offered by most casinos. You must note that your account has to be active for you to enjoy this largesse and this loosely translates to the fact that you must play at least 30 days to achieve this. Apart from all the listed bonuses, there are several other periodic bonuses that Mansion rewards its customers with. For instance, all cash deposits are automatically entered into the Mansion Loyalty Scheme where you get to earn points for each wager which can later be traded for cash. The High Roller clients also have the option of joining the VIP clique which offers much bigger rewards. Mansion Casino offers a 100% welcome bonus up to the $500 limit but there is another offer of a 50% match to the $5000 limit.